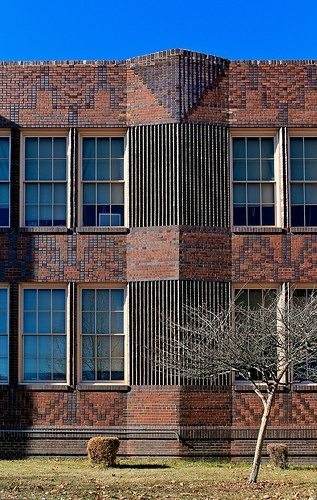 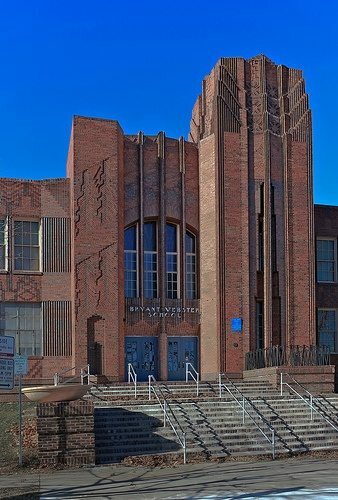 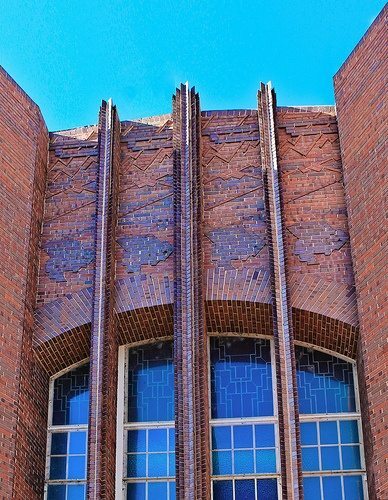 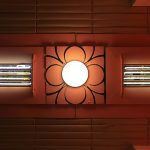 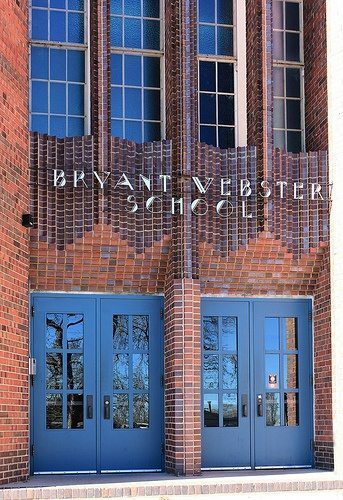 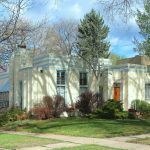 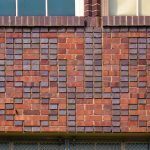 Bryant-Webster Elementary, an Art Deco design from 1932 by G. Meredith Musick and J. Roger Musick. 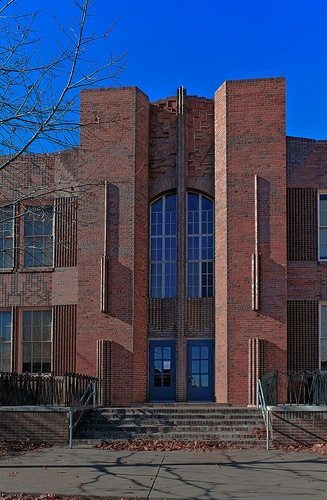 Doorway of the main entrance. 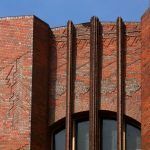 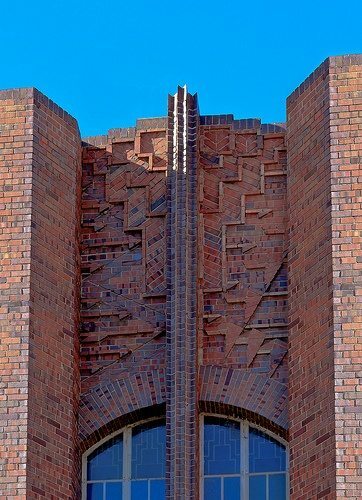 such elaborate, decorative “3D” brickwork.